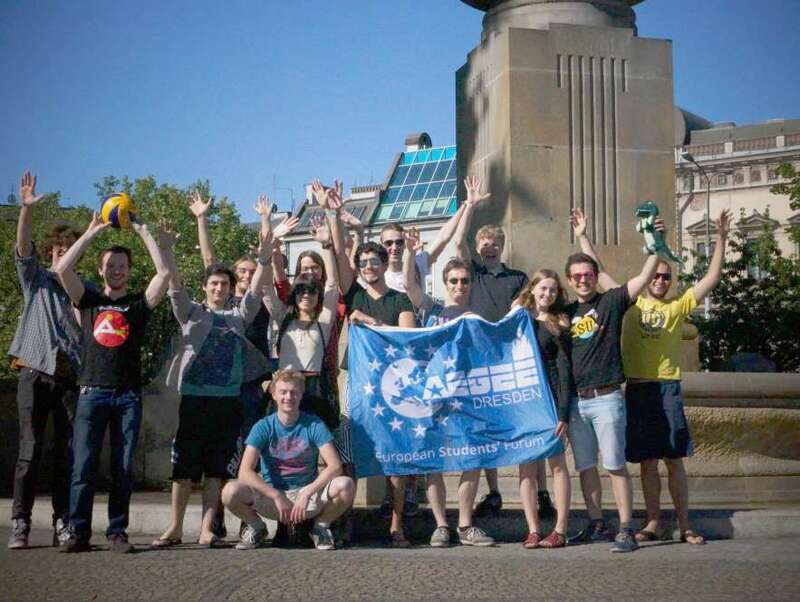 AEGEE-Dresden’s 3rd Anniversary! How time flies! On 26th of March 2014 – already more than three years ago – our beautiful antenna called AEGEE-Dresden was founded! Now, a long time full of work and fun after, we celebrated AEGEE-Dresden’s third year of existing! Horray! Fly forward was the motto of the great Agora Bergamo, which took place from 18th to 22nd May 2016 in the city of Bergamo in northern Italy. Including all participants, organisers, and helpers, 1050 people were present in Bergamo – with this the aim Agora of the 1000 was clearly reached. All in all agora Bergamo is the top 5 of the biggest of all 61 Agorae – and also the biggest statutory event since the autumn Agora 2006 in Napoli. AEGEE-Dresden showed up with a magnificent number of nine AEGEEans, including the three delegates we chose democratically during a local plenary meeting to represent us officially and during all voting sessions. And of course our mascot DresDino was also present. From 4th to 7th of June, a big group of AEGEE-Dresden members followed DresDino, our mascot, to Wrocław. Breslau – that’s the german name of the city – has 630,000 inhabitants and is located in the Lower Silesian province in south western Poland, roughly 280 km away from Dresden. What makes Wrocław special is the fact that it is one of the partner cities of Dresden. On the first day of the exchange we were nicely welcomed with a polish Barbecue and met the great people from Wrocław and some more members from AEGEE-Berlin. All the team building and working on the programme for the subsequent event, our awesome Summer University organized together. We want to proudly present our new mascot: DresDino! DresDino is a dinosaur, and it has a story behind. When we re-founded the our association AEGEE-Dresden e.V. (it had existed long before) we got in contact with the Dinosaurs of AEGEE-Dresden. That’s what we started to call the members of the old AEGEE-Dresden. They provided us help and old documents, both was really helpful! Therefore, we searched for a way to honor them and found it: Out new official mascot DresDino, in honor of our beloved Dinosaurs!